This classic now available as paperback from Amazon.com - list price $29.95. A perfect opportunity to have a brand new copy of this 1991 classic on your desk. © 1999, 2013, Science Serving Society, Bloomfield, MI. (Press mentions below list of journals). 26. ...applies the methods of science to illuminate the characteristics of traffic crashes - their origin and nature as well as their severity. Book News, Inc. Portland, Oregon. 27. 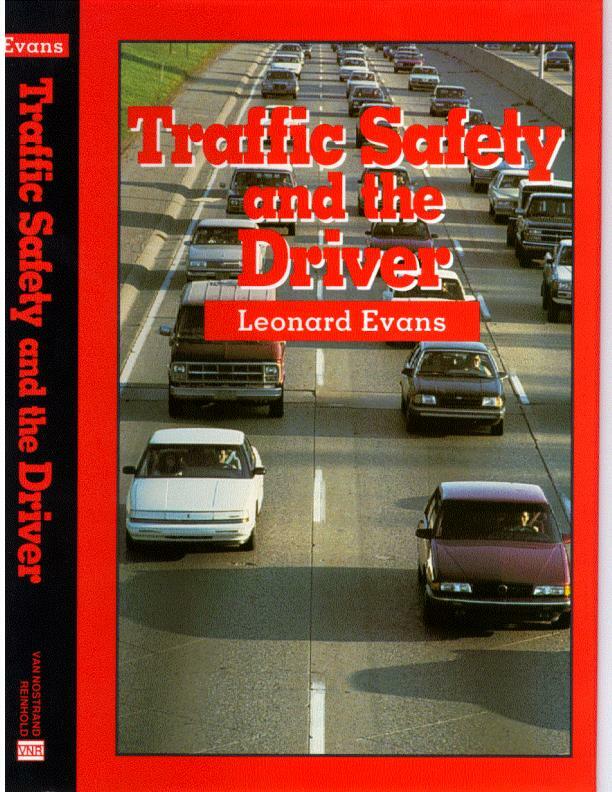 Leonard Evans, author of Traffic Safety and the Driver, a book that has been referred to as the bible of traffic safety research. Driver/Education Newsletter. 28. Traffic Safety and the Driver was published in 1991. It remains what is probably the most comprehensive review of the vast research into drivers and driving available today*. Some people have called it the "bible" of traffic safety. While it's written primarily for professionals, author Leonard Evans skillfully pulls aside the curtain of mathematical equations that normally screens the more interesting aspects of this research from less statistically inclined readers. . Driver.com.